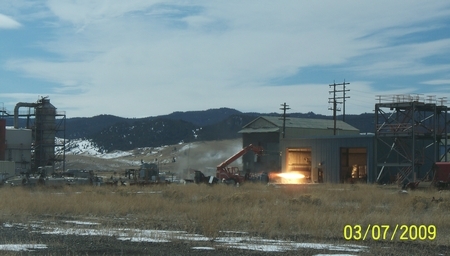 Overview of new Butte Montana site. 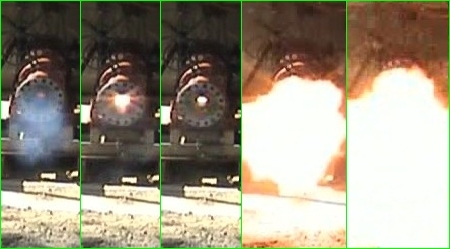 This hybrid rocket test was conducted on March 7, 2009. 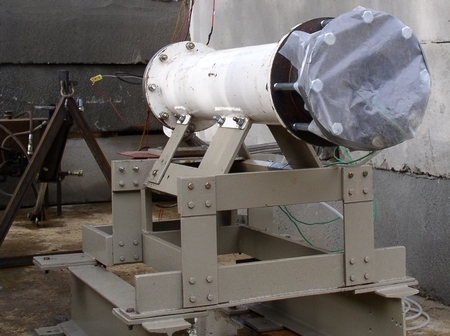 Close up of motor case mounted on thrust measurement stand. 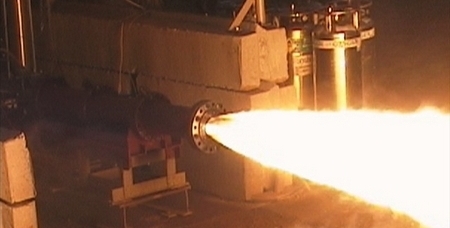 Hybrid rocket testing conducted by Spath Engineering, New Mexico, 2002. 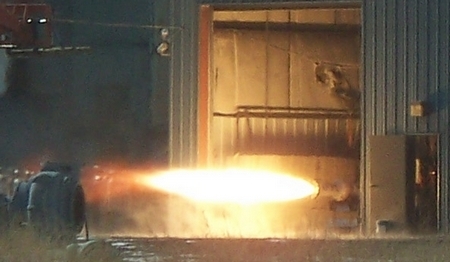 Rocket research and development projects that Spath Engineering has built and operated for military and commercial aerospace customers. Detail enlargement of the photo at left. 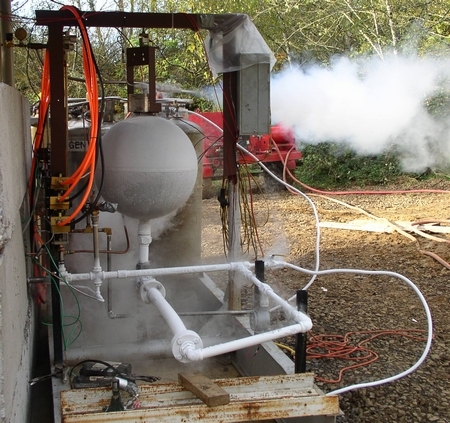 Hybrid rocket installed on test stand at the Tillamook Test Site, October 2005. 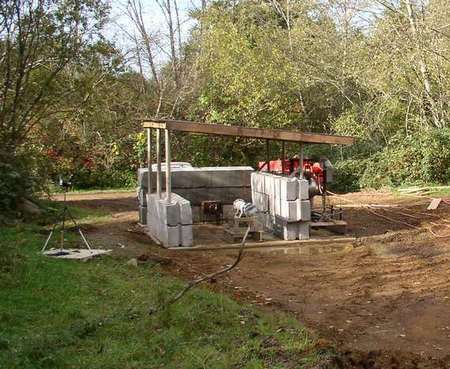 LOX tank filling prior to firing, Tillamook Test Site, October 2005.